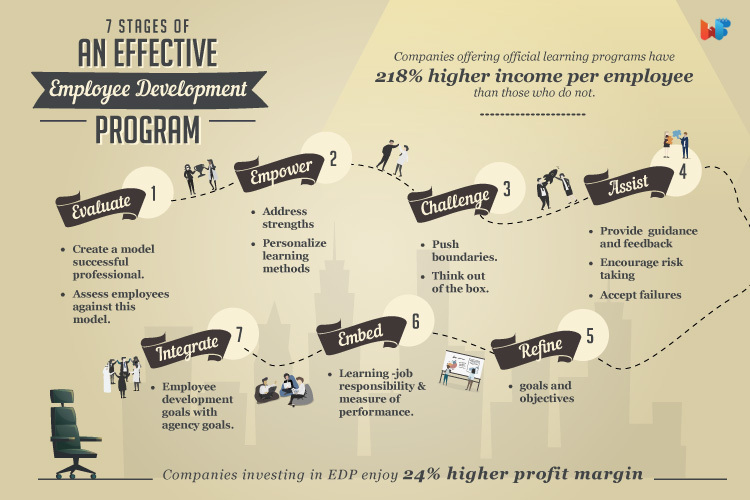 Organizations have begun to recognize the significance of employee development program. Millennials invariably prefer working for companies which prioritize professional development along with that of the company. A continuous learning process is very important to yield maximum results of productivity from each employee. Studies have shown that improving educational quality of the workforce is far more effective than enhancing equipment quality when it comes to achieving better results in production and efficiency. 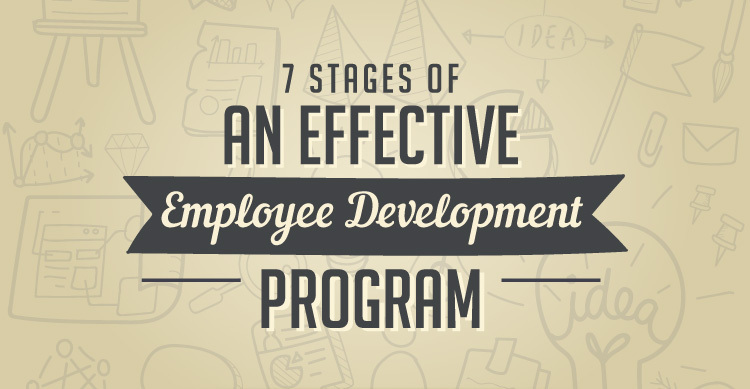 Here are the seven essential steps of an effective employee development program. 1. Evaluate the employees by creating an outline of a successful employee. Use the traits of this model to assess employee performance metrics. 2. Acknowledge the strong points and achievements of the employees. It would make sense to tailor the learning programs according individual strengths. 3. Challenges help each of us to push our limits and come up with innovative ideas and strategies to deliver efficient results. Encourage your team to try out new things and deploy some agility in the tasks at hand. 4. Now while you expect innovations and novel strategies, it will obviously go through a stage of trial and error. Be ready for mistakes and failures and do not fret it. Incredible innovation comes hand in hand with experimentation and risk taking. Also, while you push your people to enhance their knowledge, make sure to assist them with the resources and the guidance to carry out the learning process. 5. Once the process is up and rolling, occasionally review the set up. This will help in refinement of goals and objectives set for each undertaking. 6. The next stage involves creating an official learning cycle for the employees. The learning program involves performance enhancement and professional development to be included as a measure of employee’s performance. 7. The final stage involves creating an employee development program which is an integral part of the organization’s culture and objectives. As a result of which, the workforce development will not just be done for the sake of it, but will be a beneficial venture for both the employee and the company.